Ella's newest assignment is to solve the murder of an old friend's fiancée, apparently killed during a gang-related robbery. Ella is shocked to discover signs of skinwalker activity in the woman's home--was her friend's fiancée a Navajo witch, a hereditary enemy of Ella's family? 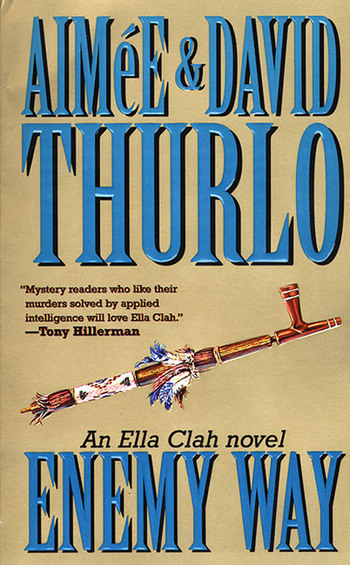 Aimée Thurlo and David Thurlo are the authors of the Ella Clah novels, Blackening Song, Death Walker, Bad Medicine, Enemy Way, Shooting Chant, Red Mesa, Changing Woman, and Tracking Bear. Their other mystery novels include Bad Faith and Second Sunrise. Aimée is a native of Havana, Cuba. David grew up on the Navajo Reservation in Shiprock, New Mexico and recently retired from teaching. They have been writing and publishing fiction for at least a decade. Aimée and David Thurlo live in Corrales, New Mexico, with a varied and ever-changing menagerie.